The following is a list of miscellaneous books and publications that might be of interest to anyone seeking further information about the Essex town of Basildon. Please note, the list is far from comprehensive and even some of these titles are becoming scarce but can serve as a guide to what is available. (H) " x (W) " (200 x 130mm). Softback in card covers. 203 pages with 17 photographs. (H)8 3/8" x (W)5¾" (208 x 147mm). Softback in card covers. 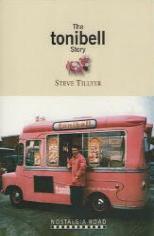 A complete history of the tonibell brand who from the 1950s ran a large fleet of ice cream vans from various depots in Basildon. The early years of the company, first established as Tonis Ice Cream by italian Toni Pignatelli, are covered in great detail and of how Toni's son Ron Peters was joined by George Le-Gresley, who then together, following a change of name to tonibell, built the company up into a household name. Also features a short history of various other ice cream van brands like Mister Softee and Mr. Whippy. 64 pages with over 50 photographs, period advertisements and other photographed company memorabilia. (H) 8½" x (W) 5¼" (215 x 135mm). Softback in card covers. Born in 1927 in the east end of London at Canning Town Joe Morgan and his wife and son moved to Basildon in the early 1950s. He soon became involved in local politics and on 10th May 1958 as a Labour candidate won a seat in the Basildon - Vange Ward on the then Basildon Urban District Council. In 1965 he became the first Leader of Basildon Council and in 1971 he spent a year as chairman. He led the local Labour party and was involved in many confrontations with both Basildon Development Corporation, whom he dubbed the 'Gifford House gangsters,' and the council. His distrust of the corporation and their working practices; he once described some of their properties as 'hutches' and others in Laindon as 'rubbish' as well as giving the ill conceived Five Links estate in Laindon its 'Alcatraz' tag, were the talk of the day. 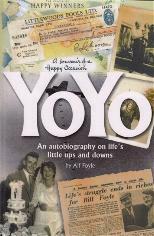 This is the story of his early days in London, the war years, and Basildon New Town. In this book Joe Morgan holds nothing back and the man once dubbed "The Father of Basildon" takes the reader deep into the murky depths of local politics. His was a time of straight talking, tell it how it is, no nonsense firebrand politics of the like not seen in Basildon since. 174 pages with two black and white photographs.